Six Month Smiles - Clear Cosmetic Braces System. Free Whitening for Life – Call for Details! 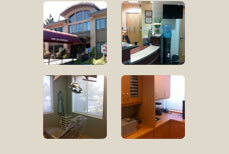 We thank you for allowing us to take care of your dental health and look forward to serving you. Please feel free to call us with any comments or questions or click here to email us. The team at Samaritan Dental Care are great, very kind and experienced! I would recommend them to all my friends!